John Baldoni is chair of the leadership development practice of N2growth, a global leadership consultancy. John is an internationally recognized leadership educator, executive coach and speaks throughout North America and Europe. John is the author of more than a dozen books, including MOXIE: The Secret to Bold and Gutsy Leadership, Lead with Purpose, Lead Your Boss, and The Leader’s Pocket Guide. In 2014 Trust Across America named him to its list of top 100 most trustworthy business experts, and Inc.com included John on its list of Top 50 Leadership experts. Also in 2014 Global Gurus ranked John No. 11 on its list of global leadership experts. 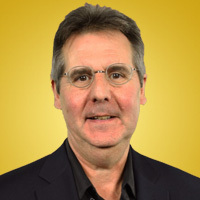 John has authored more than 500 leadership columns for a variety of online publications including Forbes, Harvard Business Review and Bloomberg Businessweek.